Ford has released official power upgrades for its Focus ST and Fiesta ST models, improving performance by 24PS and 33PS respectively. Provided by Ford’s in-house tuning experts Mountune, the upgrades will be available from September and cost £1225 for the Focus and £599 for Fiesta. Owners of the £21,995 Focus ST will get a raft of Mountune improvements for an additional £1225, including a cast alloy inlet duct, high-flow air filter element and an enlarged alloy intercooler. The Focus ST’s 2.0-litre EcoBoost engine is upgraded to an impressive 275PS and peak torque rises to 400Nm to improve 31-62mph acceleration to 4.9 seconds. The Focus will also be able to cover 0-62mph in less than six seconds, making it considerably quicker than both the RenaultSport Megane 265 and Volkswagen Golf GTI. Mountune upgrades for the £16,995 Fiesta ST improve power to 215PS, with the fitment of an upgraded ECU, re-modelled air box, secondary inlet duct and a high-flow filter element. 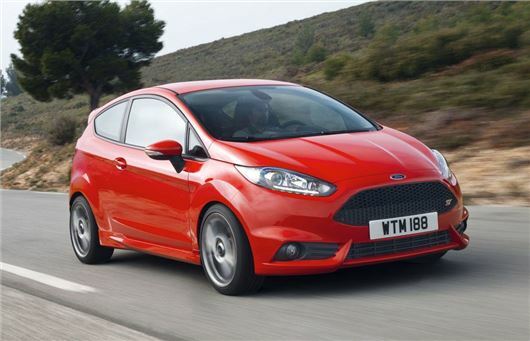 The Fiesta ST’s 0-62mph is marginally improved – from 6.9 to 6.7 seconds – while 31-62mph acceleration increases to 5.7 seconds - a significant improvement of 0.7 of a second over the standard ST. The power improvements can be fitted in 90 minutes at any of the UK’s 120 Mountune-appointed Ford dealers and the upgrades are fully compatible with Ford’s warranty.